In this suspenseful new play Dr. Harry Onslow isn't ready to say goodbye to his wife, Kate, after she drowns in the icy lake outside their home. He uses scientific techniques they had been developing to revive her. Has Harry exceeded the limits of modern medical science? Scott Cox, has been a regular in the San Francisco Bay Area theatre scene for over a decade - originating many roles including leads in Nathan Sander’s The Sugar Witch and Terrence McNally’s Crucifixion. He’s enjoyed working and touring with San Francisco Playhouse, New Conservatory Theatre Center, Berkeley Rep and Center Rep to name a few. Scott’s most recent film credits include Doggie B and The Stranger in Us both available on DVD and streaming. In his spare time he’s performed in numerous short films, worked in voice-over for audio books, a commercial for French TV, modeled for Williams-Sonoma cookbooks, coached engineers on how to communicate and given Bay Area High School students a leg up on their college auditions. Thank you Wily West for inviting me along for this crazy ride. Wesley Cayabyab is a Paramedic, Golf Professional and Dance Instructor, but is first and foremost an actor. He began studying theatre at the French American International School learning various theatre forms and in different languages. He attended Lewis and Clark College where he earned the Leon Pike Scholarship for Technical Theatre in his first year. He was cast in numerous roles in shows such as:Mother Courage and Angels in America while working as the assistant technical director for the on campus theatre. He was also the director of performance services working with dignitaries, musical groups and personalities such as: Ralph Nader, The Kremlin Chamber Orchestra, and Michael Moore. Wes continued his technical theatre career in the San Francisco bay area working with many of the major companies in the area such as A.C.T., Berkeley Reparatory Theatre, NCTC, World Arts West, Attic Light Productions, Axis Dance Company, and ODC. Wes directed the San Francisco premiere of Lawfully Wedded in which he played one of the principal roles, and was cast as Stan in the premiere of Hope's Last Chance. 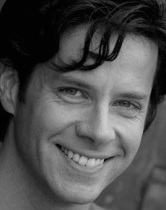 Wes is the technical director for Wily West Productions and a full company member. Colleen is delighted to work on her fourth collaboration with Wily West Productions. She recently appeared in Standing on Ceremony at The New Conservatory Theatre Center and she has assistant directed and understudied at the Magic Theatre and SF Playhouse. She has performed locally with The Bay One Acts Festival, The San Francisco Olympians Festival and All Terrain Theatre. Colleen is an artist in residence as well as member of the board of directors for Gritty City Repertory Youth Theatre in Oakland and hopes that everyone reading this will check out this amazing organization (grittycityrep.org). Colleen holds a BA in Theatre from Seattle University. She is married to teacher and set designer Casey Fern. Quinn Whitaker began studying theatre design and production at Oakland School of the Arts with a concentration in Lighting Design and Stage Management. She went to Barnard College in New York City where she served as the Lighting Designer and Stage Manager for Columbia University Event Management and the Columbia Musical Theatre Society. While living in New York Quinn worked many shows as a technician, including the International Architectural Lighting Lighting Design Awards and the Ellie Charles Awards. Quinn has been working with Wily West since 2010. She has designed sets & lighting for SAN FRANCISCO STORIES, NYMPH O’MANIA, RUTH AND THE SEA, JUNO EN VICTORIA, PEACHES EN REGALIA, ARRIVEDERCI ROMA, BELIEVERS, LAWFULLY WEDDED, GORGEOUS HUSSY, HOPE’S LAST CHANCE. She has also designed lighting and props for SHEHEREZADES X-XIV. She is now Producing Director for Wily West having shepherded the 2012 & 2013 seasons through production. In 2012 Quinn served as the lead producer and curator for our music and theatre festival, SPOOKY CABARET. Genevieve is returning to the Wily West stage after most recently appearing briefly in SHEHERAZADE 14. Other recent roles include being a part of the ensemble production ALMOST, MAINE (City College), Ellen Pazinski in OVER THE TAVERN (Actor's Ensemble of Berkeley), Antonia in THE TEMPEST and Marty in CIRCLE MIRROR TRANSFORMATION (City College), as well participating in the PCSF produced staged reading of BLOODLINE as Olympias. Before recently returning to her home state of California, she gallivanted around receiving an eclectic theatrical education from unlikely sources in Wyoming, Colorado, and North Carolina. Morgan is the recipient of the 2013 San Francisco Bay Area Theatre Critics Circle Award for Best Original Script for his play GORGEOUS HUSSY: An Interview with Joan Crawford. In 2012 he was commissioned to write LAWFULLY WEDDED for Arouet Theatre in Seattle. LAWFULLY WEDDED had a subsequent run in San Francisco in 2013 with Wily West Productions. 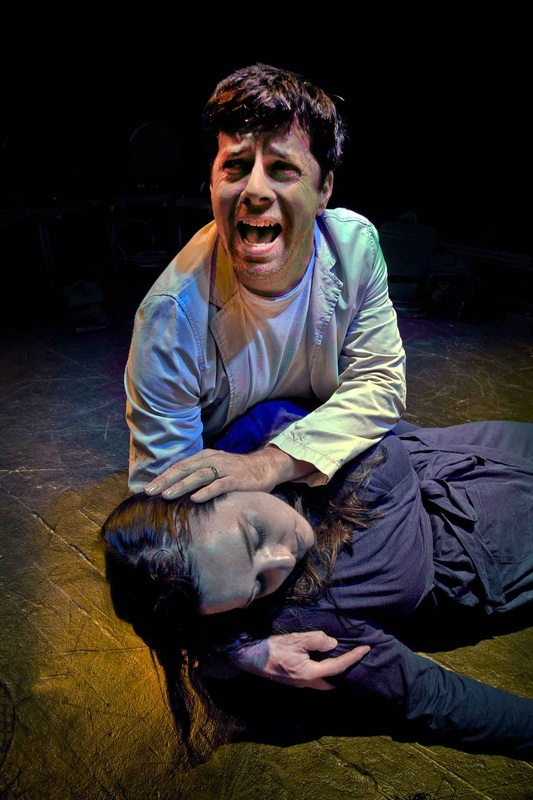 His play, RUTH AND THE SEA, played to sold-out performances in San Francisco and was listed as one of the "top 10 Bay Area productions of 2010" by the SF Bay Times. His comedies, NYMPH O' MANIA, MAIDRID'S BOW and THE WIDOW WEST have all been critically praised and played to sold-out houses in San Francisco. Morgan has had plays performed or read at the Eureka Theatre, the Exit Theatre, the Off Market Theatre in San Francisco, Berkeley Rep, City Lights Theatre in San Jose, Gaia Performing Arts Center in Berkeley, Ross Valley Players in Marin County, The Pegasus Theatre in Monte Rio, Arouet Theatre, Pacific Play Company, The Ethnic Cultural Center and Seattle Playwright's Collective in Seattle, Theatre Works West, Center Stage and the University of Utah in Salt Lake City and at the Interborough Rep in New York City. Morgan was a member of the 2009-2010 Writer's Pool for Playground a new play development program in residence at Berkeley Rep. In 2008 Morgan founded Wily West Productions in San Francisco a theatre company devoted to staging world premiere plays by Bay Area writers. He served as the Producing Director for the Playwrights' Center of San Francisco. Morgan has taught acting, movement and playwriting for the University of Utah's Theatre School for Youth. He also taught acting for dancers workshops for The Ballet West Conservatory, The Montana Ballet School and The Dance Theatre Workshop. Morgan was a full-time staff member for the Salt Lake Acting Company for 4 years and he served as the Producing Director for Plan-B Theatre Company. He is a member of Theatre Bay Area and The Dramatists Guild of America.